Hello Everyone. Happy Friday to all of you. 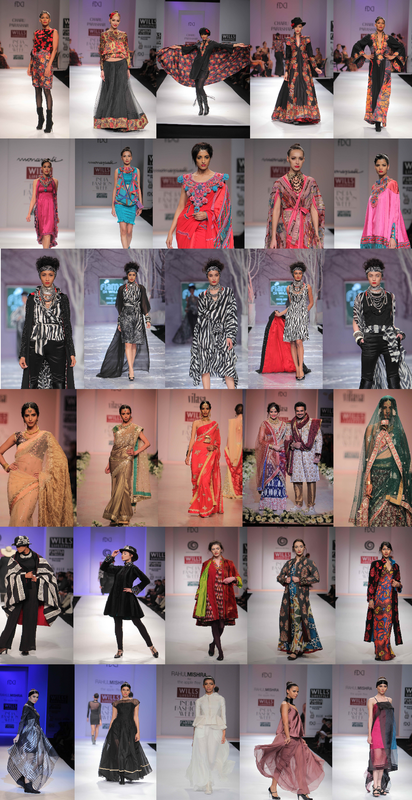 I thought I will make a collage of all my favorite outfits from Wills Lifestyle India Fashion Week. What are your thoughts on the trends seen on the runway? Hope you like the collages I made.I shall wait for all your comments. You can connect with me anytime via twitter or facebook. 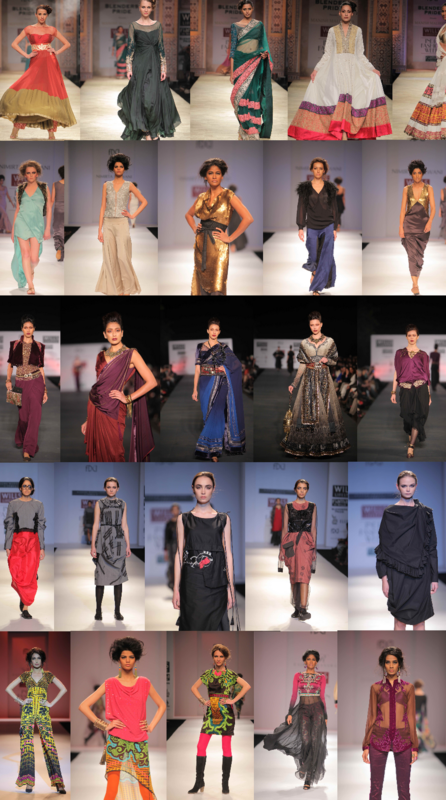 I love Indian fashion:) the materials are always so beautiful. thanks kashara :) yes loads of amazing material from velvet to chiffon. 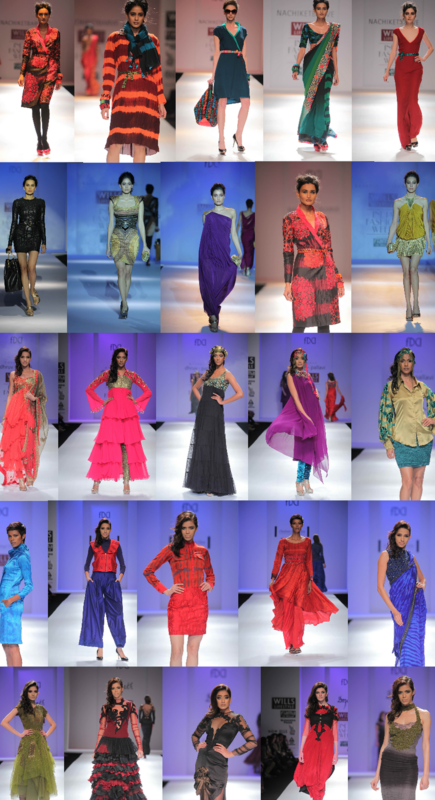 Did u check out Kangana in Shantanu Goenka's collection? I LOVED her in that. She looked gorgeous! Yes!! She looked so fabulous nothing less than royalty ! She reminded me of her movie fashion. Love all of the bright colors + bold prints! Gorgeous! Wow, part of this is unusual fashion for me! But very pretty indeed! Amazing post!!! love all the outfits! Wow, love all the colours! This post is really nice, I like it so much!!! These dresses are amazing!!! Stunning dresses - such vibrant colours. Thanks for your lovely comment, I hope you stop by again soon. Lovely collection they're absolutely amazing the colors & fabric are TDF! i am SO into your blog <3 thanks for the comment babe. happily following! beautiful post!!! !amazing blog!! !i'm following you! !if you like mine,do the same!!! interesting! 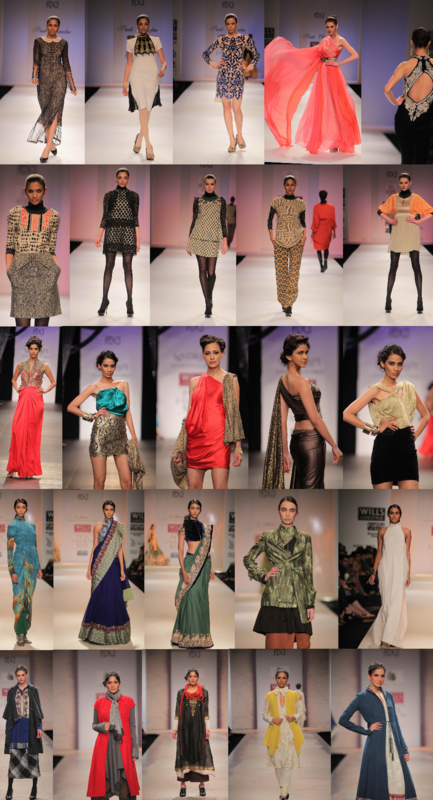 great designs and I am really drawn to the patterns and colors!